It is very rightly said that knowledge can be partly acquired through academics that we pursue but wisdom and empathy is gained through observations and experiences. My village stay at Kodli in Karnataka has been an eye opener for me as it gave me an opportunity to explore a remote part of the nation. I would have never known how people in our country survive in basic amenities but for this experience. There are lessons which have changed my perception of rural India. It has made me realize how sustainability evolves even in the scarcity of resources. This was what I inferred from the working of self-help groups in the village which empower the women who seek means of livelihood. The way these groups work in the village is really admirable. 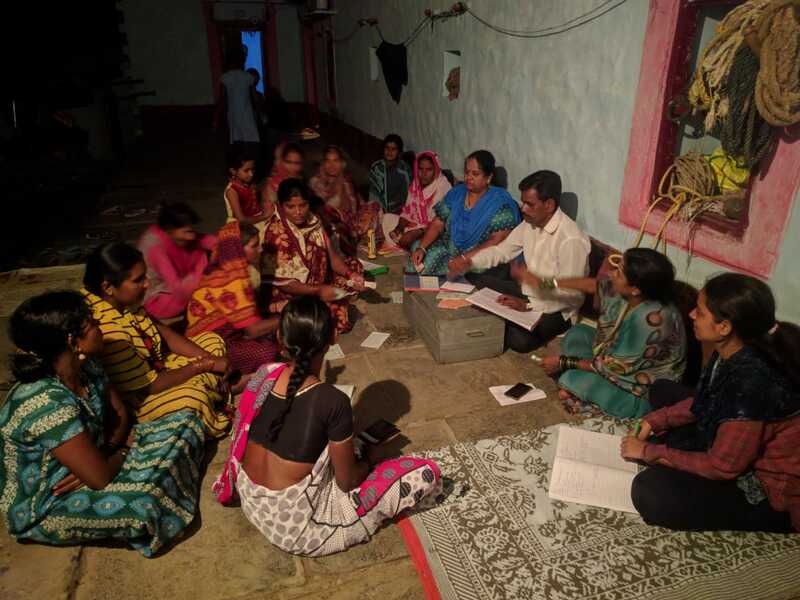 The weekly meetings are not only about the collection and distribution of funds but also involve active involvement and participation of women in varied discussions that revolve around individuals as well as the development of the village. They partake in singing songs and prayers for everyone’s welfare. Sometimes, it takes the shape of a business summit when entrepreneurial ideas are discussed for which loans can be taken both internally and externally. The appointment of a new leader in every meeting provides an excellent opportunity to become financially literate as she gets to directly engage in transactions with the banks. Also, the females become more vigilant while they learn basic accounting steps for recording the transactions. Moreover, the coordination system is also excellent as they work in harmony and trust each other in the proceedings. One definitely doesn’t get to see such bonds in the fast-paced city life where we all are constantly running. However, these women plan for village development activities together despite their hardships. It is their thinking and concern for the welfare of all that makes them great. Their strength actually lies in unity which can be witnessed in these groups where all the members support each other both financially and emotionally. These groups not only encourage and promote out-of-the-box ideas for livelihoods but also work for their successful execution. With no management pupils framing the structure and functioning of these meetings, no one can deny that the proceedings and working cannot get smoother. Thus by attending these meetings in my village, I learned that leadership cannot be taught through academics alone and sustainability can sometimes evolve on its own when it comes to survival. It was the penultimate day of our group's stay in Pipalwada village in Mandavi taluka, Surat district. 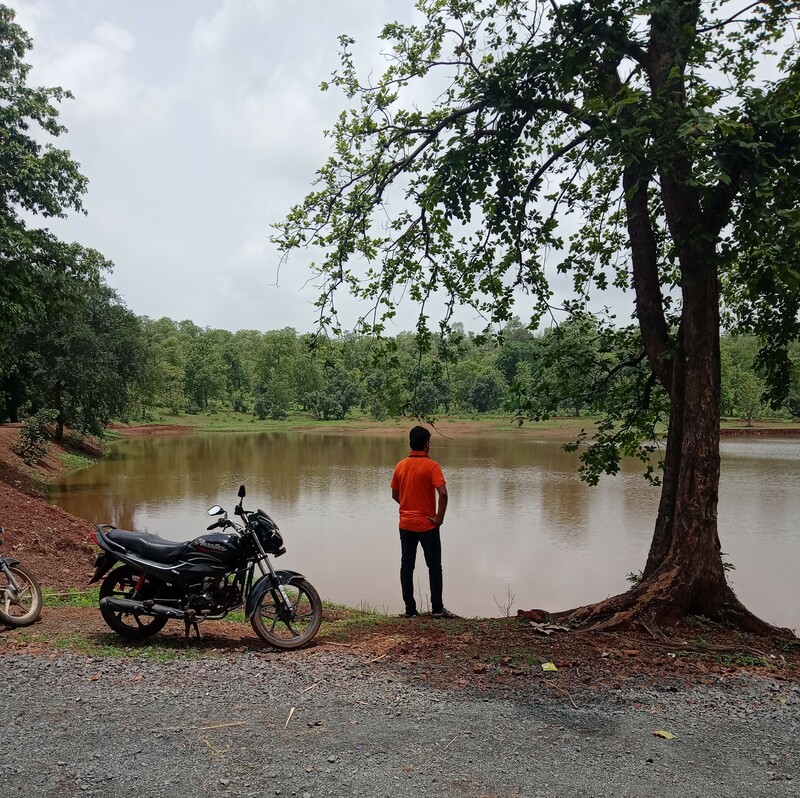 The day before, we had met some friendly and hospitable employees of the forest department office and they had agreed to us riding piggyback on their bikes through the initial stages of a very vast and dense forest cover. Next day, after having an impeccably delicious breakfast, we left, excitedly anticipating to see and remember many new things and to make new memories. Our path was on a slightly sloping and rocky land. Across the road on the two downward sloping sides, there were rising various magnificent trees each with a charm of serenity that ran through and bound all the trees together. Shortly after, we stopped by a pond that looked straight out of the cover page of Walt Whitman's deathbed edition of ‘Leaves of Grass'. Five elderly and young women and a young man were talking amongst themselves in a Gujarati dialect that I could only sporadically grasp. This young man and the forest department employees must be seeing each other very often, I had guessed. They all shook hands in a way that rendered redundant any further ‘mannered questions' that are a prerequisite for good communication skills in the corporate world. The women meanwhile were crouched around a pile of short tree branches of about 7-8cm in length. After we all were introduced to the young man, he, with much interest told us that those tree branches were Teakwood, one that is also known as ‘sagwan' and is used to make our furniture robust. For this tree, the seeds aren't preferred to be sown in the ground since they take a longer time to grow into towering trees than if you sow the branches. That is why, those women were preparing the corners of those stems by cutting off any protrusions. We were also shown various other trees by the young man, some that cured diabetes and some from which diesel may be extracted. On our expression of appreciation of the beauty of the place, the young man proudly told us that none of his people do these forest plantations for any remuneration but only because they do not want the future generations to be deprived of a life-sustaining treasure. On turning my eyes upwards I saw a pollution-grazed sky and a fierce sun glaring through its netted haze. I was sweating in my T-shirt and jeans although it was winter. Was this the 'beautiful' Tunda in Kutch so avidly endorsed by Amitabh Bachchan on TV promos? Well, here I was at any rate, undergoing my fieldwork segment – an important component of my PRM curriculum – in a fuming village sandwiched between two high capacity power plants, constructed under the Ultra Mega Power Projects Scheme. Going about gathering material for my theme paper I was opening my eyes to new realities every day. To put it mildly, I was getting a ringside view of things you only read about in papers- caste prejudices, overt sexism, lack of basic civic amenities including those crucial to health and education. Yet all this taught me some great lessons, lessons that I will cherish throughout my life. I learnt about the joys of survival, finding hope where none seemed to exist. Travelling in a dumper, a six-inch space inside a crammed rickshaw, and even more over-crammed toofan taxi I learnt to make the best of everything. That's when I learnt the greatest lesson of my life: that possibilities do exist no matter how bleak the scenario; you only have to go looking for them. When I understood how this realization could get translated into bigger dreams and projects, well... it simply blew my breath away. I understand the IRMA dictum better now, that furtherance is more important than personal enrichment.